Quest For Skilled Metal Roofer in Tweed Heads Ends Here! It befittingly goes with most of the residences in the city of Tweed Heads for their roofs are bearing the brunt of unpredictable weather for years. You may like to fix the metal roof, it isn’t an easy task, even if you were tempted to do so. In fact, you need a skilled metal roofer in Tweed Heads for a permanent fix. Be it roof repair or replacement or any other related job, our self-driven army of metal roofers has mastered the finest nuances to provide complete roofing solutions with unparalleled quality. Ranging from residential to commercial scale, our metal roofers are armed with an array of metal roofing solutions that suits the climatic situations to help you enjoy lasting performance. Our metal roofers are skilled and trained to identify and provide quality solutions to minute of the roofing problems, our valued clients often encounter. Ranging from deep job analysis to providing permanent solutions to through review of the final results, our certified roofers would be more than pleased to attend and fix every little roofing issue of yours for achieving complete satisfaction. Do Away with the Ordinary - Book The Best metal roofer in Tweed Heads! You wouldn’t like to hire a novice to install metal roof for your new house or office building. Here, we have a decent number of consummate metal roofers offering exceptional services with immaculate precision and promised quality. Be it the inspection or fixing the roof, you will be surprised with their wealth of knowledge and expertise in providing metal roofing solutions. 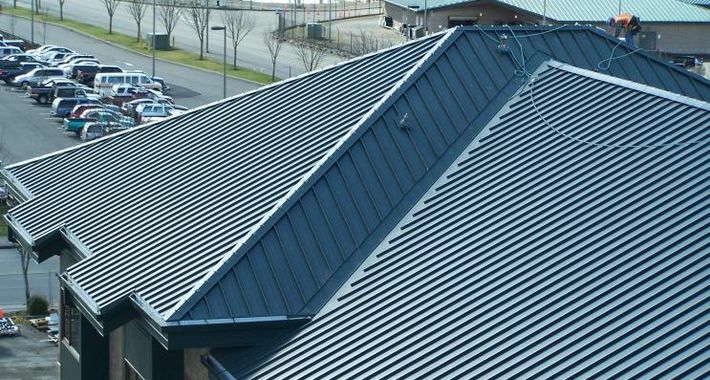 If you’re looking for some interesting ideas for metal roofing, then you wouldn't find better roofers than ours to get some out-of-the box metal roofing ideas. Check the metal roof gallery for our splendid work! Knowledge is power but so are basic etiquettes our roofers display with clients. Our roofers are well mannered and politely deal, even with irate clients, for we are professionally committed. For us, it is always more than just serving the clients. Matter of fact, it is about providing wonderful custom er service for building long lasting association. Our metal roofers are certified to do a variety of roofing jobs including roofing repair, roof coating, roof replacement, new construction, gutter installation, and masonry repairs in residential as well as commercial setups. They are proficient enough to handle additional tasks such as inspection, mowing, custom flashing, clean-up and hauling etc. All that and more in reasonable time is made possible with our metal roofers. So, be assured that a consummate skilled metal roofer in Tweed Heads is the one to effortlessly meet all your roofing needs. Metal roofing jobs are rigorous; ranging from regular inspection to repair to installing new metal roof. The estimated price of the metal roofing solutions is based on the intricacy level and requisite resources. We understand the value of your money invested. So be assured that we keep the rate competitive yet reasonable to make our value-added services available to all our clients. Get the free quotes on all our quality metal roofing workmanship to make the final call. Decades of market experience has taught us the value of each and every client. It has inspired us to instil the same philosophy in our metal roofers in Tweed Heads. Our metal roofers forge a trustworthy bond whilst attending to your concerns and serving quality roofing services. They display strength and integrity of their character in each of their conduct, from the beginning till the end of the job. So if you’re scrambling with many options for roofing issues, then contact us to hire a sorted metal roofer in Tweed Heads to meet all your needs.